When I gaze in the mirror at past tattoos on skin from 10 years ago I can’t help but wonder – Who were you? Why did I get that tattoo? I wish it were something else much neater! 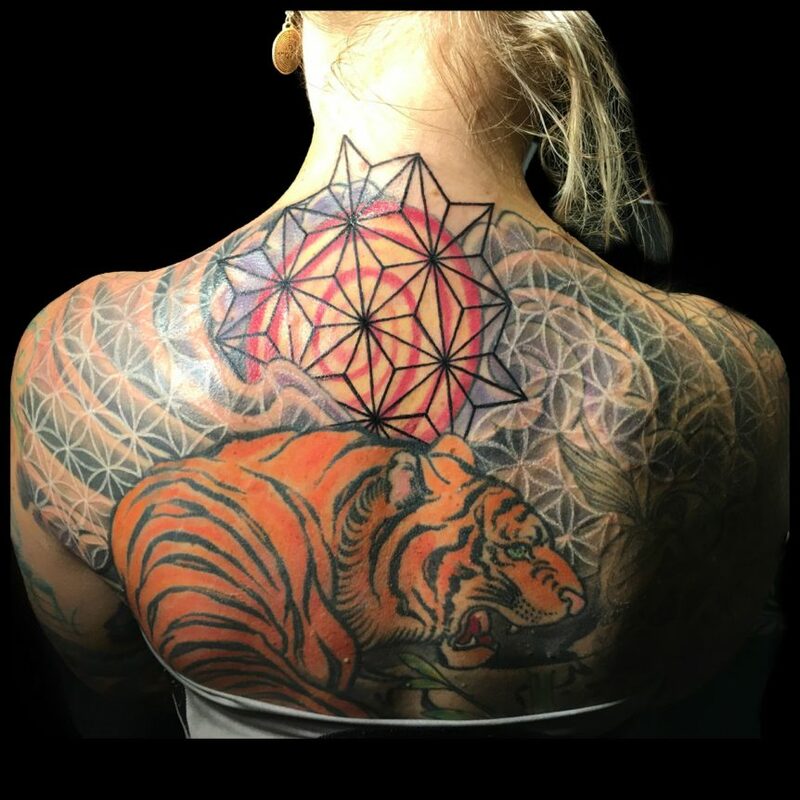 At one point I told Rachel I wanted a massive cover-up on much older tattoo work by previous artists. Rachel provided a positive light and insight by relating a personal similar experience. It switched my view. After many sessions and laughter, I now vision a collage of time capsuled art with love and silly reminders of things that were once important to me. We intertwined patterns to link the past to the future, an over the moon dance! Metamorphosis of compassion and growth is shown through her artwork; linking the old to the new with a connection of placement that flows towards a gateway of healing. Don’t hide, recreate. Rachel likes to work with previous work to match your present aesthetic.